Do I really need videography at my wedding? Will I regret not getting wedding video coverage? Getting a professional wedding photographer is usually considered an essential requirement for your wedding. However, the most common heard question and unsure about decision is "should we get wedding video as well?" Wedding photography can capture so much........but it is really only video that can capture realistic memories of your day that can be relived by simply pressing play. 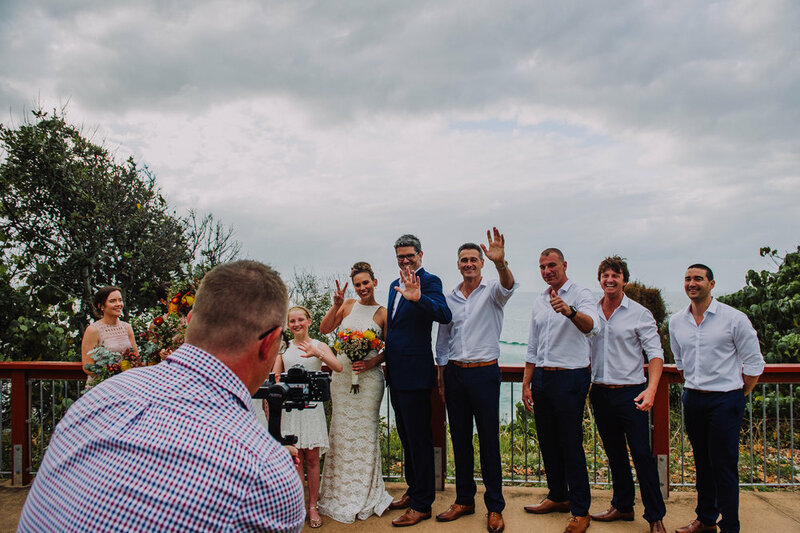 Video can capture memories like your voice quavering during your vows, hear the laughter from your guests during canapes, record your speeches to listen to again and again (and again! ), capture what the live band sounded like, and show the fun & energy of the dancing. Yes! Get Wedding Videography too! It’s well worth it and you definitely won’t regret it! We have NEVER heard anyone who invested in wedding videography and then regretted it. Unfortunately we hear the reverse WAY too much! What if I can’t afford videography in my wedding budget? We all know that weddings are expensive! However, we also know from speaking to many couples after their day, they realise that they may have over spent in areas that on reflection weren’t that important…..or could have been swapped for cheaper alternatives without any impact or anyone noticing! We even ask our couples who are considering a photography plus album package, if they maybe want to instead put the album money towards video coverage (as an album is always something they can get later on…where video is not). Sometimes just workshopping what’s really important for you both, and a bit of budget juggling, can help free up enough to get wedding video too. Obviously if your budget is really tight, and you think you can’t afford wedding videography, the maybe look at getting just part of the day videoed? We offer ceremony only videography packages and also part day coverage options, to hopefully fit within most couple’s budgets. Getting part of your wedding day professionally filmed, is better than nothing at all! And then you could maybe get family/friends to video any parts you might miss from professional coverage (eg speeches part of reception). With our wedding videography, we strive to deliver authentic storytelling, documentary style coverage of your wedding day. Our wedding videos will capture the true emotions of your wedding day, with all special moments captured, however without any cheesy, over the top cinematic effects. Even better if you find a team that offers both wedding photography and videography! The benefits of choosing a studio like us, who offer wedding photography and videography together, means that you not only deal with one studio, you can also be confident that the 2 teams will work well together on your day and the resultant photos & video will compliment each other. Bundling the services with one studio, also allows you to get better value for money!!! We also offer videography services on it's own at an affordable rate, and highly recommend anyone who has already booked another photographer and is still considering getting video too, to drop us a line and chat about what we can offer you. Here is a sample of a New Black Studios highlight wedding video edit.